A Funny Name for Seriously Good Feminized Seeds! Genehtik Seeds Values Everyone's Opinion! From the amateur to the professional to scientists & local farmers, Genehtik Seeds takes every want, desire & fresh idea to heart when they design their incredibly good cannabis seeds - & it shows. No wonder they won Best Seed Bank of 2011! For Smashing Seeds, Check Out the Genetic Marvels at Genehtik Seeds! Genehtik are a great bunch of guys who have been working hard toiling in the fields and raking through the world’s finest genetic cannabis seed stock since the late 90’s to bring you a sumptuous feast of glorious cannabis seeds. 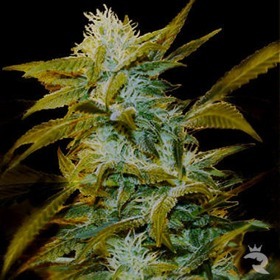 By working with amateurs and professionals as well as farmers and scientists, they have come up with a mind blowing group of cannabis seeds they are proud to present to you. When you check out what they have on offer below you will see from their great properties that all the hard work has been worth it. Genehtik Seeds exceptional Super Silver Bilbo and Zuri Widow are just some of the strains they know you will really appreciate for their deep rooted genetic qualities. Grab your own Genehtik Seeds now before they’re snapped up by someone else!